Crystal Palace have signed Swansea striker Jordan Ayew on a season-long loan. 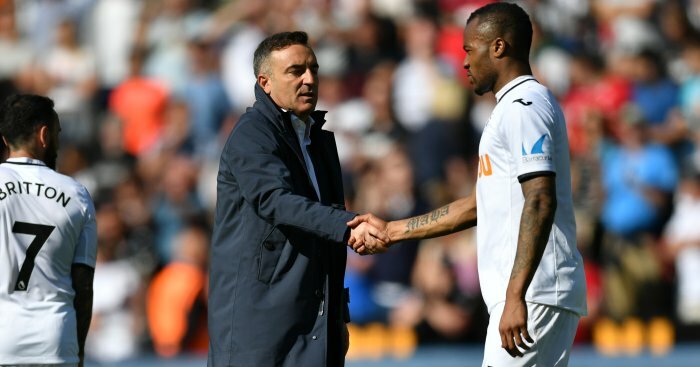 Ayew, 26, was top scorer for the Swans last season with 11 goals, but he had refused to train with the Championship club, who were relegated from the Premier League in May. Ayew has admitted that the summer had proved a long one. “I am very pleased to be here. It’s been a long transfer window but finally I got a move. The important thing for me now is to get fit and to be in good shape, and I know the manager wants to use me up front and make things happen,” Ayew told the club’s website.